Microsoft is urging people who are still on Windows 2000 and Windows XP service pack 2 to upgrade, with support for two of Microsoft's most popular products coming to an end on 13 July 2010. Microsoft is keen to point out that it will not be offering security updates of non-security hotfixes for either XP SP2 or Windows 2000, and for users of the latter software there will also be no assisted support. The XP SP2 support withdrawal comes two years after the release of Service Pack 3, as per Microsoft's normal support lifecycle. "Please note, the terms of the Service Pack Support policy do not impact the Mainstream Support phase or Extended Support phase dates for Windows XP," stated Microsoft. "Windows XP transitioned from the Mainstream Support phase to the Extended Support phase 14 April 2009. "During the Extended Support phase for Windows XP, Microsoft will continue to provide paid support and security updates at no additional charge. "Extended Support for Windows XP will retire on 8 April 2014, as per the policy." Microsoft is advising customers to migrate to the latest supported service pack and/or product prior to the end of support. "This is about education," Microsoft's James McCarthy told TechRadar. "We simply want to support our customers." It also should be noted that support for Windows Server 2000 will end. For those concerned about the end of life and/or unable to upgrade, there is a plethora of information at http://windows.microsoft.com/en-us/windows/help/end-support-windows-xp-sp2-windows-vista-without-service-packs?os=xp. 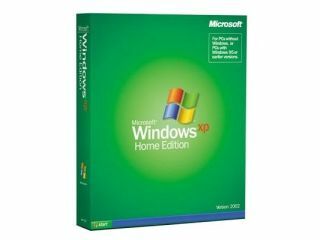 You can also get Microsoft to send a DVD with XP SP3 on at http://www.microsoft.com/windows/products/windowsxp/sp3/default.mspx for XP SP3, or http://www.microsoft.com/windows/windows-vista/quick-start/service-packs.aspx for Windows Vista SP2. There is a small charge to cover the cost of shipping cost from US (£5.98).